Last thing I expected from Yammer was possibility to use it as presentation tool. So greater was my impression how good social network we have in our hands now. My students are attending last year in our school. Primary or elementary school in Croatia lasts 8 years and then students have to choose secondary school they will attend next 3 or 4 years. They could choose among gymnasium, vocational school, technical or economic schools. Whatever they choose they will have to travel to some city 25 – 35 km far from their homes. As part of our citizenship education I asked students to prepare presentations abo ut their future schools and present it to the whole class. 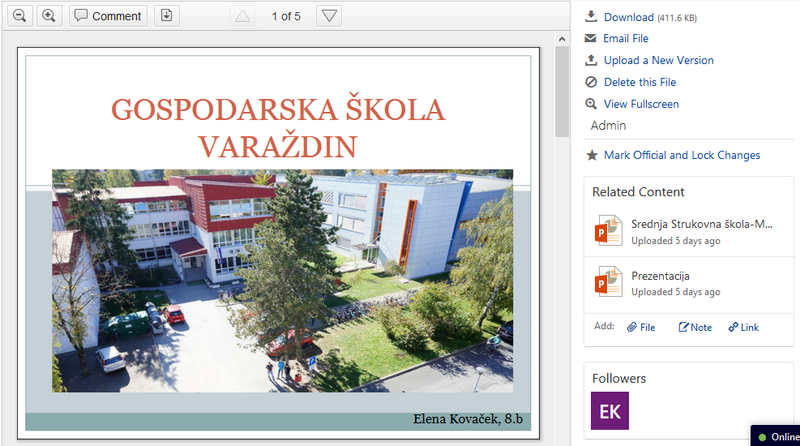 They created presentations in Office 2013 as usual and attached them to the posts in our Yammer group. This time posts were tagged properly as #skole so we could easier find all presentations later. That is lesson we learned while creating digital gallery :). It was nice to see that Yammer show first slide of attached presentations right there in the post. Did you know that? That is something other social networks don’t do. Next day in class I opened my Yammer group page, find their posts and clicked on first presentation expecting that I have to download file. But preview window opened and presentation was right there, just waiting to be seen. 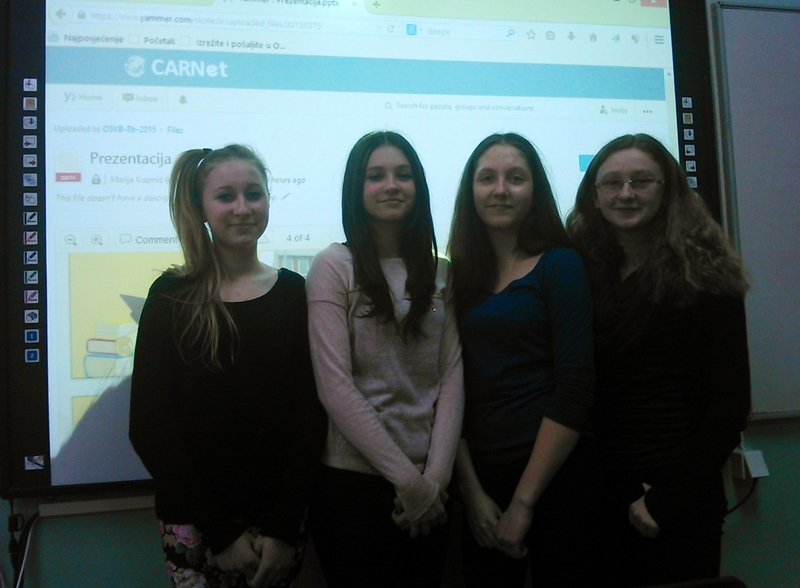 Students came to interactive board and perfectly done their presentations without any technical issues and without leaving Yammer. I noticed that if I o pen presentation preview from file list I get even more options. There is possibility to download, email, delete, view full screen and even to upload newer version of file. File could be marked as official and locked for changes. Related files, in this case presentations are showing on same page. Everything organized very efficient. Later we discovered that above slides we have co mmenting tools, which allows us to draw on slides, put highlights or even add text to slides and of course to add comments to the presentation. One more unexpected option which is not available in other social networks. It seems that every week we discover something new and find some new abilities of Yammer we have to try and test in our class. I think we feel like explorers but instead of exploring distance lands we explore virtual environments in Yammer. Who said learning is not fun?